Healthcare is getting a healthy boost from artificial intelligence (AI) today. Thanks to cognitive solutions like IBM’s Watson system, a massive amount of medical information and personal patient data can be quickly and easily analyzed. Then, these insights can help patients make healthcare decisions, physicians improve patient outcomes, and researchers streamline their clinical workflows. A recent Frost & Sullivan report revealed that the AI market for healthcare will soar to $6 billion by 2021, increasing 10 times as much as in 2014. And according to the “Redefining Boundaries” study by IBM, healthcare executives predict that AI will make the healthcare industry re-evaluate all of its business protocols in the coming years. To show how this technology is already changing the practice of healthcare, WorldHealth.com shared an update on its medical progress. 1. 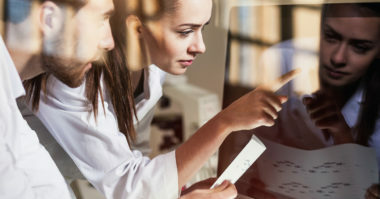 Dispensing Diagnosis and Treatment: Watson has the cognitive computing power to search the latest medical data to find the specific information that can benefit a patient. This allows for better diagnoses and more effective treatment. 2. Checking Up on Clinical Trials: Artificial intelligence software is now helping physicians find appropriate clinical trials for patients who have exhausted all other treatment options. For instance, Watson scans through thousands of clinical trial protocols and deciphers whether a patient is eligible for each trial. Then, Watson conveys these findings directly to the physician. Another example is AkēLex’s AKE, which collects unbiased clinical data for patients and physicians to search through. It allows them to have instant access. This enables physicians to have immediate access to data most applicable to each patient. 3. Prescribing Disease Management: Today, patients with chronic conditions can find relevant information and insights with a tool called Cognitive Cloud. In addition to currently being used by physicians to guide patients toward proper treatment options, the system is helping Intermountain Healthcare transition teens with Type 1 diabetes toward self-care as an adult. Watson is also being used in the analysis of disease progression, as well as helping individual patients predict how they’ll respond to a particular treatment. 4. Working Wonders for Wellness: Watson is powering a whole new era of wellness. For instance, its technology is used by Welltok’s Caféwell Concierge to review a person’s health goals and then prompt them with guidance to make them achievable. Johnson & Johnson is also using Watson to help joint replacement patients manage their overall health. 5. Reviving Reimbursement: Thanks to a software-as-a-service (SaaS) platform developed by Hindsait, payers can identify potentially extraneous medical services to make their care more financially manageable. Since the software is hosted on the Google Cloud, it’s affordable for most providers, which allows them to use it freely to enhance the patient experience. Check up on the latest healthcare marketing news. Contact MDG Advertising.